This is a great health spell to do if you are feeling under the weather or have a more chronic illness. Like most of my spells this health spell won’t require too many supplies but it will require strong visualization skills. You can modify this spell by adding other elements and magickal correspondences like herbs or the moon phase. Because you want to rid yourself of something it is best to do this spell during the new moon. I would try and use a red candle. Not only do red candles represent love but they also represent health. You will have to be mentally prepared to ask for this healing and to receive this healing. You may want to do a ritual bath for cleansing and purification. Afterwards you might want to spend some time meditation on your healing and visualizing the healing you want to manifest. The mind and the minds belief are extremely important to this good health spell. You may want to burn some healing incense. Charge your red candle with your intention. After you charge your candle draw a picture of yourself with the disease, or sickness, or whatever. Make it obvious on the drawing what it wrong and what it needing healing. You can use symbols like drawing worms for the stomach flu. The picture doesn’t have to be perfect for this good health spell to work but it should accurately represent you. I like to use standard printing paper for this if I don’t have access to my sketch book. Light the candle and meditate on the flame. Hold the paper tip of your drawing to the flame and light it. Once your drawing is lit place the burning paper into your fireproof dish. This is a very effective health spell. Now with the red flame still burning, draw another picture of yourself healthy. 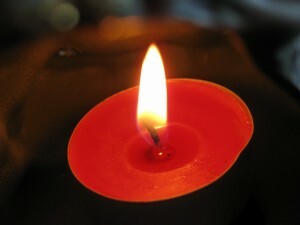 Place this picture of the new you under the red candle. Don’t blow or snuff out the candle. Let the candle burn out. The spell is done. You can keep the picture of your healing under your pillow our in your spell chest. Get plenty of rest and you will see fast results. This is a great good health spell. If you try it you can also add a chant written by you or add other things. Leave a comment below if you have any questions or comments on this good health spell.